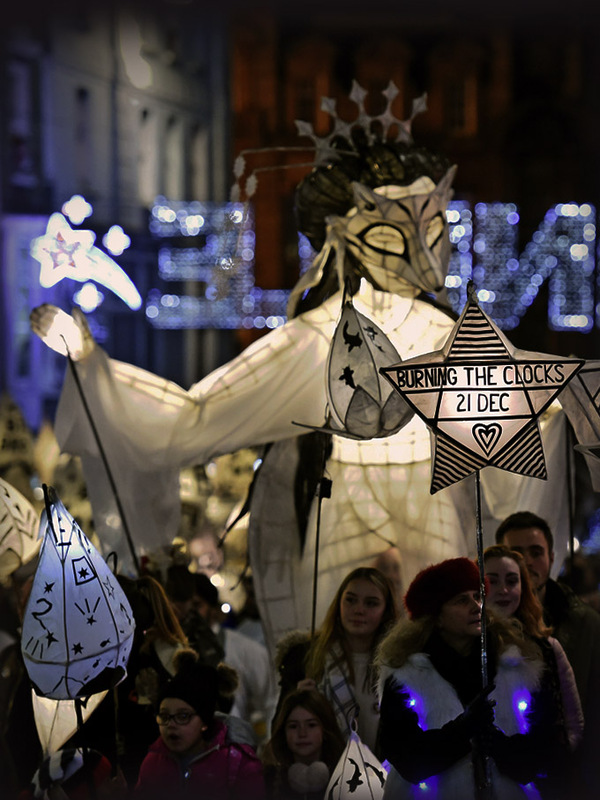 Organised by Same Sky, Burning the Clocks is an annual winter festival of light, fire and hope. The annual parade has more than 2,000 people taking part and attracts more than 20,000 onlookers on the winter Solstice. An inclusive event, it is supported and funded in large part by its parade participants, the city’s residents. Our ongoing task is to create as much noise as possible around the event’s crowdfunding. We help raise awareness of the financial difficulties it faces in the current climate, whilst highlighting the many local organisations that already contribute. Every year, we deliver a series of radio and television interviews, and secure regular press and digital articles. Same Sky has recently reported its largest crowd in recent years and last year exceeded its crowdfunding target by 80%, with collections on the night exceeding £5,500.